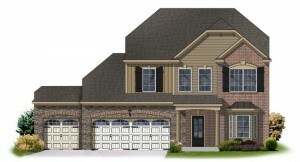 Goodall Homes Introduces 5 Bedroom Floorplan! This spectacular 2 level home with 5 bedrooms and 2 and a half baths features a main level master suite. 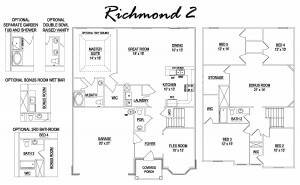 It has huge secondary bedrooms! Formal dining room or study. Open floor plan for dining, great room and kitchen. Bonus room included. 2 or 3 car garage. 2780 base sq ft. Available at Ladd Park in Franklin, Bent Creek in Nolensville, Cambridge Farms in Gallatin, and StoneBridge in Lebanon!